Yes, we know that electric battery cars cost as much to run as petrol ones, but demand is increasing. An Australian company is planning to make the little beasties. The number of quiet cars purchased increases by 40 percent every year. Australasia has had a slow uptake, favoring combustion engine powered motors. ACE Electric Vehicles (formerly GetGreen) intends to alter that. The business began by producing solar farm equipment. It is based in regional Queensland. The firm has patented its manufacturing process. Production will start later in 2018. 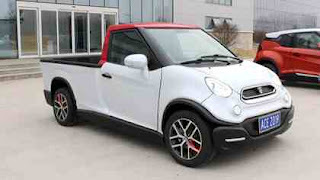 To suit the Australian market a ute (Yewt) is the going to be the first model offered. This will be followed by a van aimed at commercial operators. They will be basic products selling for less than $40,000. The power train will give 40 kilowatt per hour with a range of 350 kilometers. While it will be ticketed as an item of Australia, only assembly will be done here. Manufacture of components will be in China. The long term goal is to do everything in this country. When output reaches 10,000 units yearly this change will occur. Methinks this will never happen. Costs and profits will prevent this from happening.